Our grade school campus in Streetsville, Mississauga offers Junior Kindergarten to grade 8. If you are interested in our preschool program, please see our Kendellhurst Academy Preschool website. We have preschool campuses in Streetsville, Mississauga and Upper Glen Abbey, Oakville. What is your classroom ratio? Our grade school ratio is 1 teacher to a maximum of 16-18 students. Our Kindergarten ratio is 1 teacher to 12 students. We do not include our administrators in this ratio, so we do not exceed our classroom ratios. Does Kendellhurst Academy have a uniform policy? Yes, students attend school in uniform. Please see our enrolment package for details or web link for more information. Girls attend classes in white oxford type dress or polo shirts, navy pants/skirts/tunics and tie with optional vest or cardigan. Boys attend classes in white oxford type dress/polo shirts, navy pants, tie and optional vest or cardigan. We also have a gym uniform. Is Kendellhurst Academy a co-ed facility? Yes, we are a co-ed school offering extra-curricular options for all students. Does Kendellhurst Academy have a gymnasium? We have a large gymnasium with a stage for our dramatic productions. Our gym is fully equipped. We also offer specialty programs like yoga, martial arts and dance throughout the year. For these sessions, we bring in specialized instructors to complement our regular curriculum. These events are included in regular tuition payments. Tuition covers our academic program from 8:45 am to 3:45 pm. Kendellhurst also offers many signature programs in our physical education curriculum including yoga, martial arts, dance, box fit, and Zumba which are included in tuition. Our Bring Back the Salmon Project with field trip is also school sponsored. We also offer a variety of clubs that are dependent on enrollment. Club offerings will vary from year-to-year. Clubs are run by our teachers from 3:45 to 4:15 pm or 4:00 to 4:30 pm. All clubs, including homework club, are included in your regular tuition payment. Encourage your child to come out and have fun! Information for club offerings and sign-ups are available by mid-October via our e-newsletter. Does Kendellhurst Academy have extra-curricular activities and is there a cost? Field trip fees are an additional but nominal fee. Kendellhurst offers an optional recreational skating program at recess time. The spring skating program for our grade school students has a nominal fee and is an over-and-above program choice. Where are your field trips held? 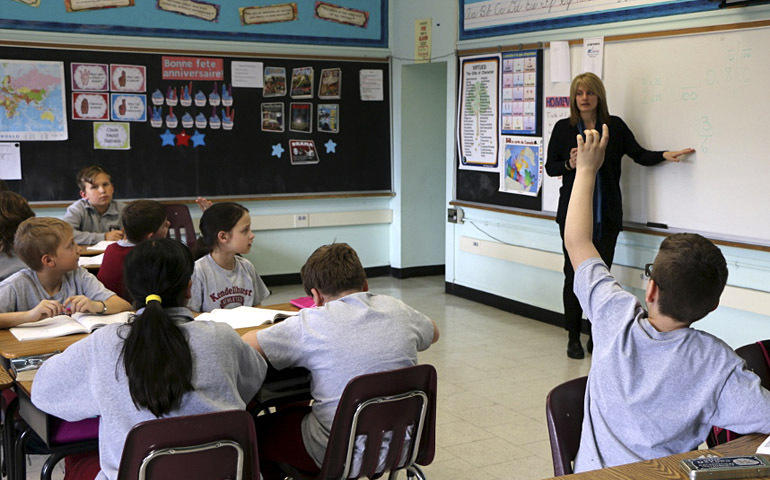 Is afterschool help available and is there a cost? For those students who require extra help to ensure their success, our teachers offer a Homework Club up to three times a week, as needed. There is no additional cost for this program. The program runs from 3:45 to 4:15 pm. Homework Club is by teacher referral only. If your child is struggling with areas of the program, your child's classroom teacher will call or meet with you to decide a plan of action for your child. We also encourage you to call your child's classroom teacher regarding any concerns you may have about your child's progress. Parents and students find Homework Club very helpful, since it is a small group learning session with your child's classroom teacher. This alleviates a great deal of stress at home, since parents don't have to play catch up in the evenings after a day at work! Most private schools charge additional fees for this service, or leave it up to parents to navigate the curriculum at home in the evenings! As parents, we know that this can be stressful, and may sometimes take away from the enjoyment of extra-curricular activities or family time. Our teaching community is supportive and, as a team, we want to ensure your child is successful! What are your academic goals for students? We offer an enriched version of the Ontario curriculum. Our students are often one to two years ahead of their peer group who attend public school. We strive to ensure success through an interactive, fun and interdisciplinary curriculum. Our focus on critical thinking and democratic citizenship underlies our curriculum, promoting creativity, intelligence and personal, academic excellence for every student. Students are assessed on a regular basis, so you know where your child stands. This methodology also allows us to follow up if a student should be experiencing difficulties. What special opportunities will my child have at your school? Kendellhurst Academy offers many unique and educationally driven opportunities. These include environmental education with direct hands-on programs, such as assisting with our classroom hatchery for Atlantic Salmon. Students are also involved in day-to-day recycling, and are invited to assist in annual tree planting events along the Credit River. Kendellhurst also strives to expand students' abilities through art, drama, music, public speaking, etc. During the winter months, Kendellhurst also hosts a family ski day field trip, and a spring skating program. Does Kendellhurst Academy offer a lunch program? Yes, for an additional cost we offer an organic content menu choice with organic milk or juice. Our lunch is a hot, catered meal by Organic Kids' Catering. See their website at www.organickidscatering.com. We also offer a regular menu choice with milk or juice. Both menu options are yummy, delicious and child friendly! Upon enrolment acceptance, you will fill out a form and choose the appropriate payment plan. Students are also welcome to bring their own litter less lunch, keeping in mind that we strive to be a peanut safe environment. Are before and after school programs available? Yes, we offer both before and after school programs for an additional cost. The morning session is from 7:30 am to 8:45 am and the afterschool program is from 3:45 pm to 6:00 pm. In the afternoon session, students are asked to attend to their homework first, allowing them ample time to enjoy fun indoor and outdoor activities with their friends. What type of student is drawn to Kendellhurst Academy? 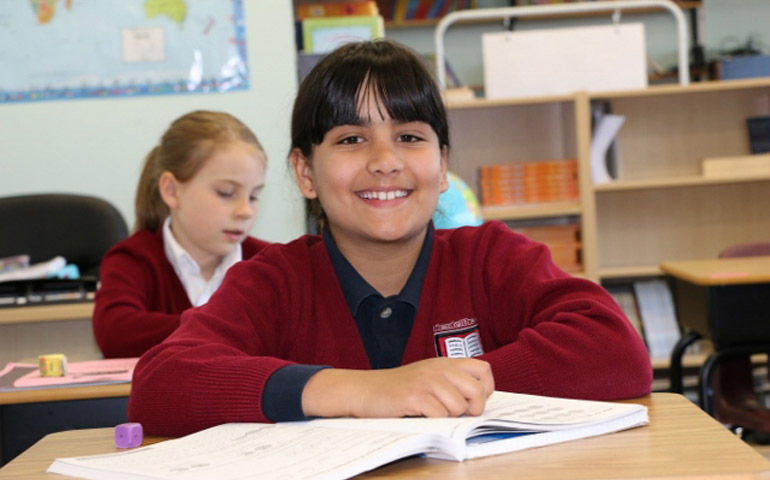 Regardless of whether your child is an introvert or extrovert, students who are curious, positive, creative and inquisitive do well at Kendellhurst Academy. We encourage creativity, intelligence and personal excellence in all our students! What type of teacher is drawn to Kendellhurst Academy? Our faculty is comprised of dedicated, loyal and nurturing teachers who have the whole child in mind. We cultivate a team of professionals who take the duty of teaching as a personal responsibility, and the joy of teaching as a personal mantra. They truly are stewards of education. Our grade school teachers are fully qualified with many staff being Ontario Certified Teachers (OCT) with a Bachelor in Education, or carry a degree with additional qualifications in child studies coupled with many years of experience. Kindergarten teachers are Registered Early Childhood Educators (RECE) or qualified OCT educators, or carry a degree in child studies with many years of experience. Paula Carrasco-Kendell, our School Director and Co-Founder, is an Ontario Certified Teacher (OCT). Paula attended UTM earning her Hon. B.A. in English Literature, B.A. in Exceptionality in Human Learning, and went down town to the University of Toronto, St. George Campus, and the Ontario Institute for Education for her Bachelor of Education, Masters in Teaching and Masters in Education. 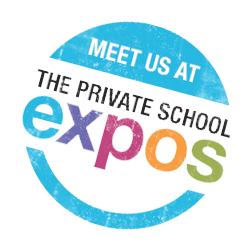 Paula has over 20 years experience in public and private schooling. With experience, education and personal interest, of being a parent of two children, Paula takes personal pride in cultivating her vision of education. Paula enjoys walking her Vizsla, Larkin, as well as reading and skiing. John Kendell, School Director and Co-Founder of Kendellhurst Academy, is dedicated to his family, Kendellhurst Academy and his environmental work around the Great Lakes which is centered on the Credit Valley. John attended UTM for geography and environmental management earning his Hon. B.Sc. John has over 20 years of business experience and takes care of all legal, administration, accounting and behind the scenes duties for the school. John is also very active in the community through volunteering as the chairman of a large conservation group. Through his volunteer efforts he has raised many millions of dollars to benefit wildlife habitat along many GTA rivers and streams and assists in endangered species recovery. John is the recipient of many awards for his work in the local environment such as the Conservation Award of Distinction (from the CVC), the Civic Award of Recognition from the City of Mississauga, the Timothy Street Medal of Honour, and the prestigious, Canada's Recreational Fisheries Award presented by the Governor General in Ottawa. Mrs. Cathy Finelli, our Preschool Division School Administrator, has over thirty years experience in private school teaching and administration within the early childhood and primary levels. Mrs. Finelli is a well known and respected figure in the industry, and is dedicated to making a difference in early year's standards and education. Both Mrs. Finelli and Mrs. Sardinha supervise, train and direct all aspects of pedagogy and practice. Through monthly faculty meetings, on-going training and professional development workshops for the teachers, and classroom rotations, Cathy cultivates a strong, dedicated, loyal team of teachers. Ms. Alexandra Rogerson, our School Registrar and Office Administrator, is a graduate of the University of Western Ontario and the University of Toronto. She holds advance degrees in Political Science & International Relations with a specialization in foreign policy and conflict management studies. Ms. Rogerson has a diverse background in project management working with some of the largest marketing agencies in Canada. She has also studied voice, piano, flute and saxophone, and is an integral member of our management team! When not working, Ms. Rogerson is busy in community musical theatre and volunteers with Women Serve, an organization dedicated to helping women and children around the world have better access to education, water and maternal health care. Through responsible and accountable practices, Paula, John, Cathy, and Alexandra are dedicated to the children and families at Kendellhurst Academy. They are responsive to needs of the school as a whole, and believe in making changes to ensure continual progress and evolution. What role do I play in my child's education at Kendellhurst Academy? Parental input is welcome at Kendellhurst Academy. We try to address parent voice as much as possible. We also weigh the decisions we make very carefully as we know they impact our students and families in small and large ways. We also expect our parents to support our school and community, and most importantly, their child/ren in the journey to personal and academic success. Parents are asked to assist their child/ren with daily homework. Each week students have math and spelling quizzes, reading and journal writing. Homework calendars are sent home daily to keep you informed and up-to-date. School projects are also sent home periodically. If your child is struggling with homework, we ask that you contact the school immediately, so we may assist with getting your child back on track. Communication between home and school is imperative for your child's success. We have an open door policy at our school. It is up to you as a parent to cross the threshold in order to help your child reach his/her best sense of self. Kendellhurst Academy has three campuses with two Preschools (Oakville and Streetsville) licensed with the Ministry of Education Early Learning Division and a Grade School (located in Streetsville) that has obtained a Board School ID (BSID) from the Ministry of Education. 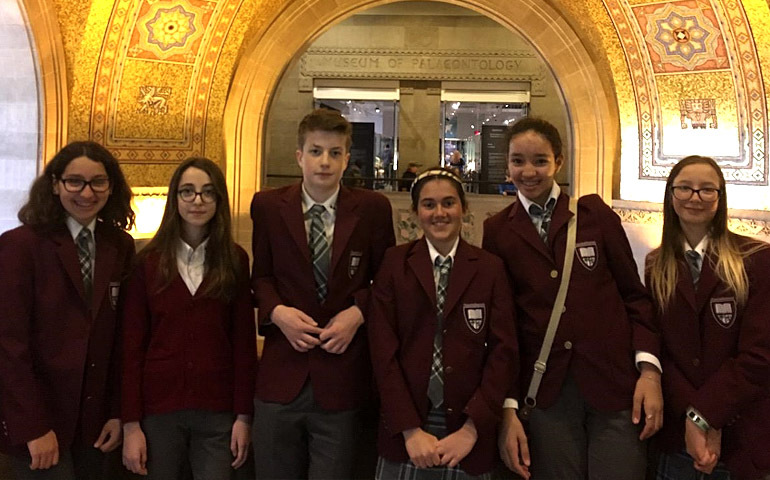 Kendellhurst is a member of the Ontario Federation of Independent Schools (OFIS), Ontario's largest Private School Organization and the Association of Daycare Operators of Ontario (ADCO). Kendellhurst staff are qualified Registered Early Childhood Educators (RECE) and/or members of the Ontario College of Teachers (OCT).